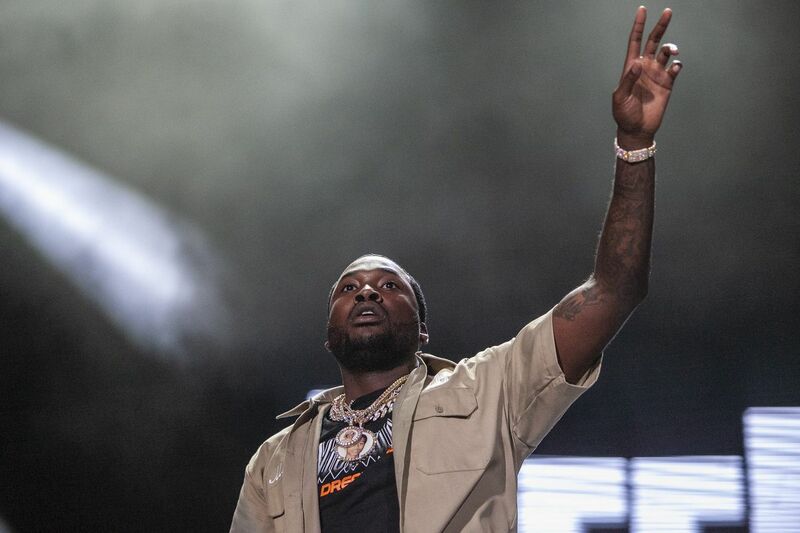 Meek Mill performs on the Rocky Stage during the Made in America festival on Saturday afternoon, Sept. 01, 2018. Fresh off his weekend performance at Made in America here in Philadelphia, Meek Mill stopped by the Tonight Show with Jimmy Fallon on Tuesday to discuss criminal justice reform alongside 76ers co-owner Michael Rubin. "People like myself, we actually get the bad end of the stick," Meek, 31, told Fallon. "I'm not saying that we shouldn't be punished for criminal activity, or you should not go to jail if you commit a crime, but probation was designed for one to help better themselves." Mill's most recent appearance on the Tonight Show is his first since Aug. 2017. After a taping of the program, the rapper was charged with reckless endangerment after being arrested for riding dirt bikes on city streets in New York, but the charge was later dropped. Instead, he was charged with reckless driving, and spent five months in prison because he was on probation at the time, and has been since he was 19 due to a 2008 drug and conviction. He was released from Chester SCI on bail in April. "I come from a neighborhood where, you know, young black males lose their lives on a daily basis," Mill said. "Families lose their lives or are broken up because of the system. I've been going to jail for a traffic ticket. I left this show, popped a wheelie, and I was in jail since." Since his release from prison earlier this year, Mill has partnered with Rubin to highlight criminal justice reform in appearances and interviews. The rapper is also the focus of an upcoming, six-part documentary series produced by Jay-Z's Roc Nation in collaboration with Amazon Studios that is scheduled for release next year. "We have about 6.7 million people in the criminal justice system today in the U.S.," Mill said Tuesday. "That's five times the rate of the rest of the world. I'm fortunate to have everyone helping me, but how do we help others?" Mill's Tonight Show appearance came following a well-received set at Made In America here in Philly, which served as the rapper's first Philly performance since his stint in prison. While the performance was not the biggest or best of the day, as Inquirer music critic Dan DeLuca wrote, it did prove that the day "unquestionably belonged to Mill." Mill carried that momentum over to the Tonight Show on Tuesday, where he also performed his track "Dangerous," a track from his recently released Legends of the Summer EP, alongside fellow Philly rapper PnB Rock and Chicago's Jerimih.